In this digital age, it pays to embrace the internet and mobile technologies for they are vital particularly in doing business online. Thankfully, there’s a wealth of information available today that can help individuals and groups achieve their desired goals from gaining more followers and clients to increasing profits. LINA WANG’s Blog is one online resource worth following. With a focus on digital marketing and social media, it offers valuable information on content marketing, social media tools, big data, mobile commerce, mobile marketing, marketing analytics and branding among many others. 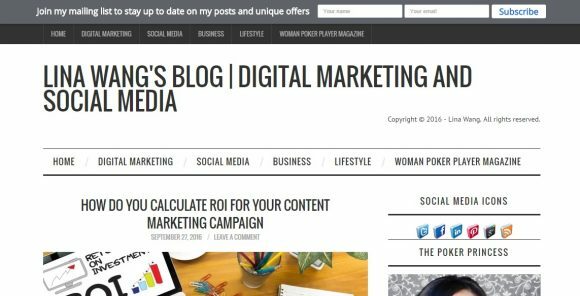 The blog is authored by Lina Wang, a businesswoman, marketer, model and editor with an MBA degree.